Breeze has gained her Heelwork to Music Starters title with her previous handler. 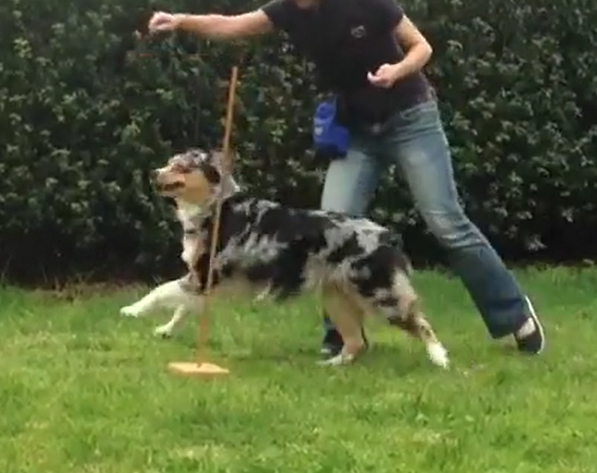 In 2018 she will working towards her Freestyle Starters title as well as progress to Novice in Heelwork to Music. 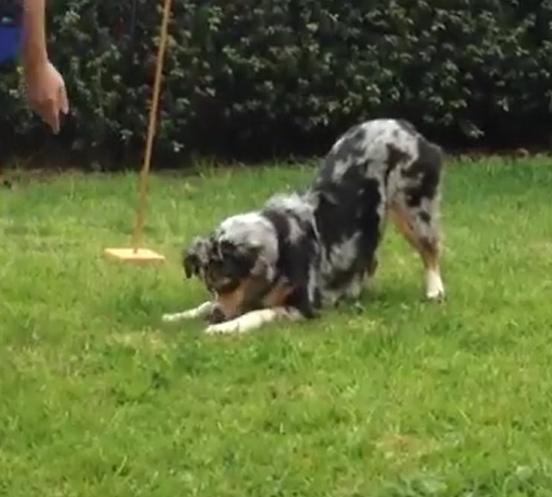 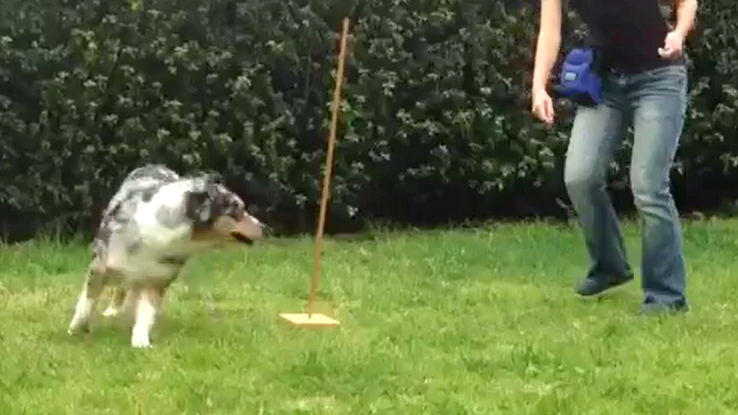 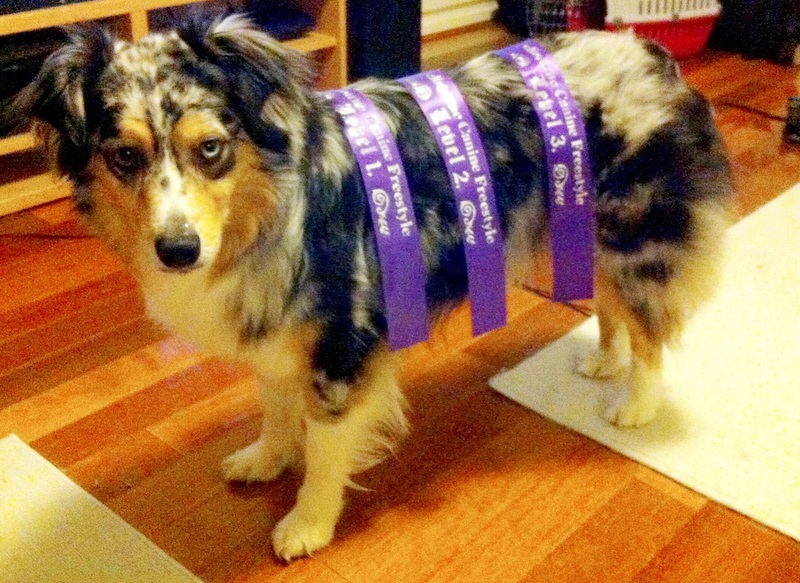 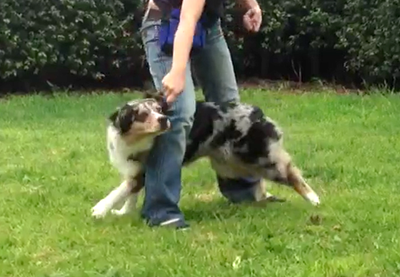 Dancing with Dogs compromises of two different components - Heelwork to Music, and Canine Freestyle. 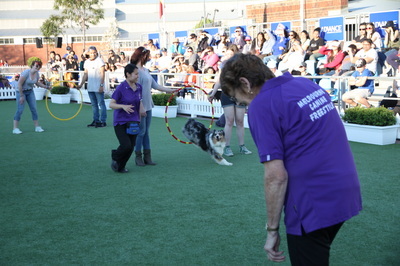 Heelwork to music is performed with a choreographed routine set to music, in which the dog and handler have to demonstrate heelwork with the dog in different positions, such as left heel, right heel, heel across, heel behind, between legs, etc. 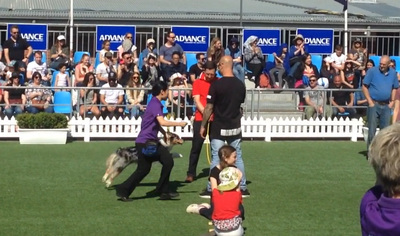 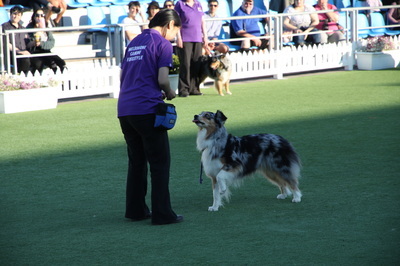 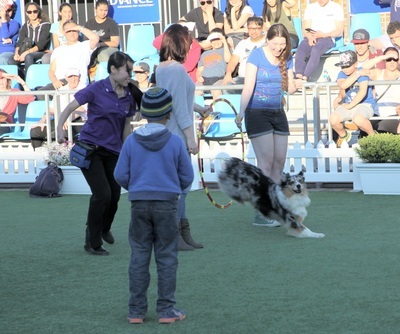 Canine Freestyle is more flexible, where a choreographed routine is performed to music, with the handler and dog free to perform as they wish. 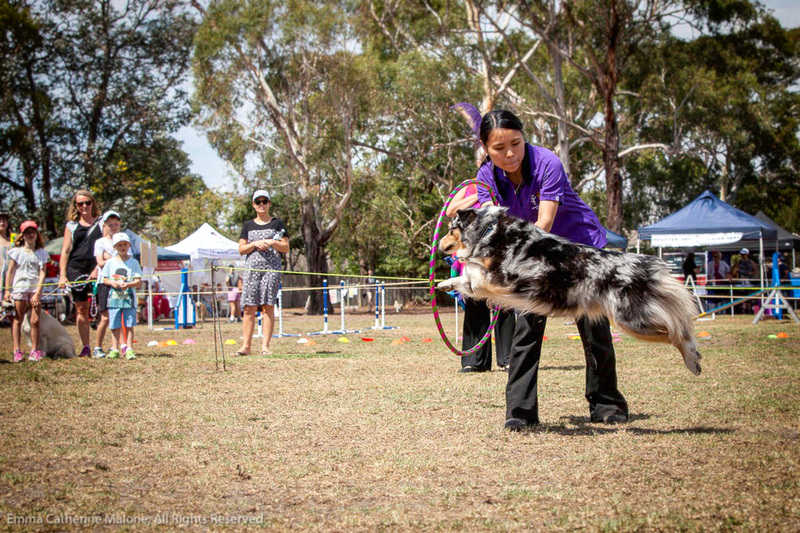 Common moves include, spin, bow, circles, leg weaves, distance work, and often includes props. 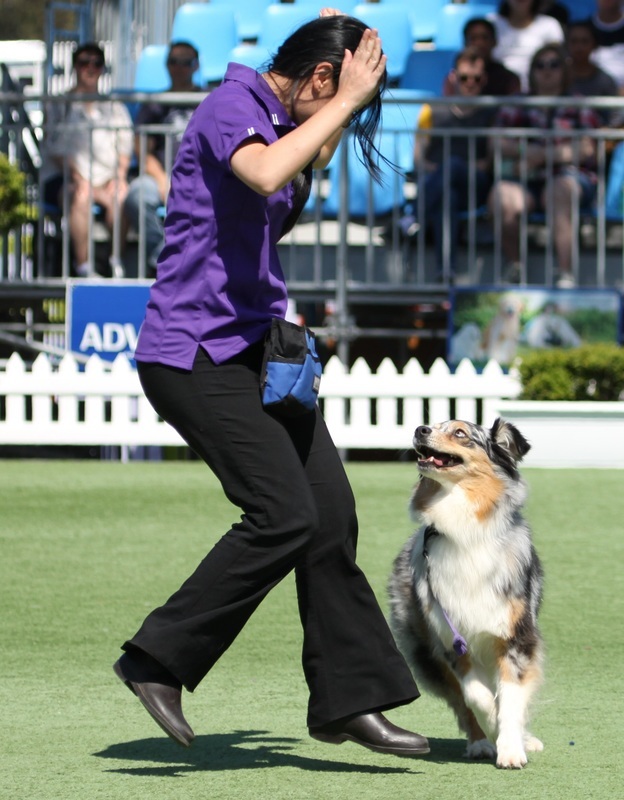 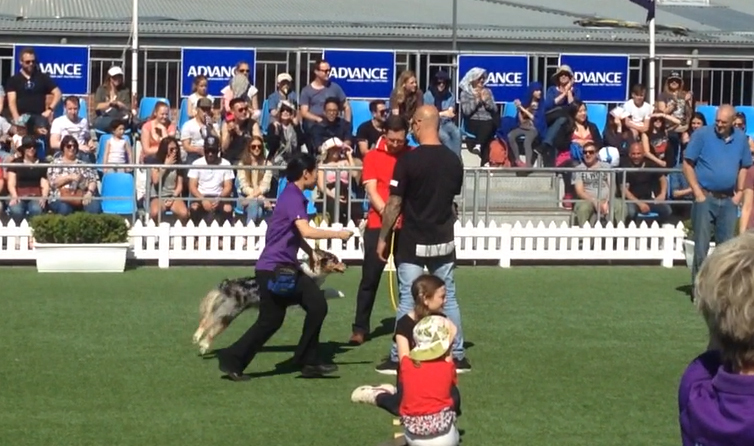 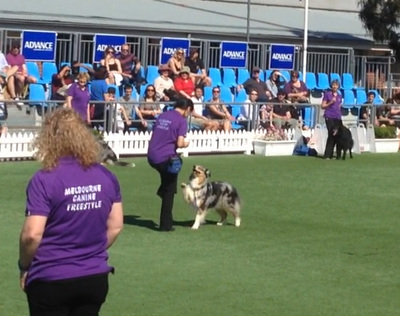 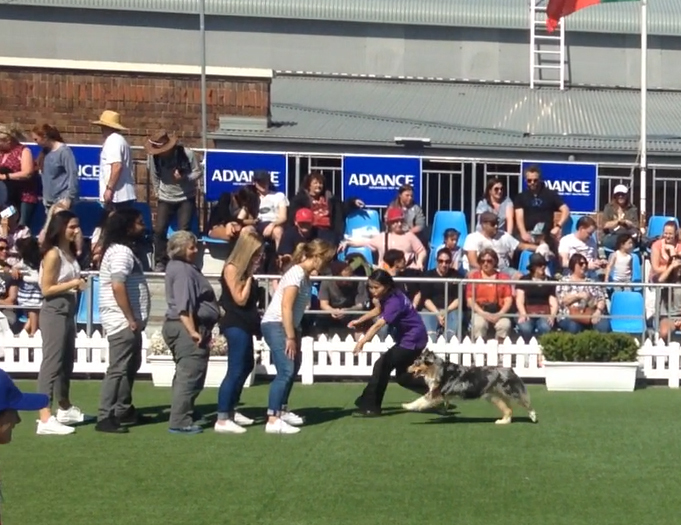 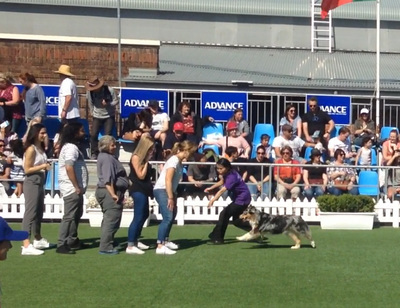 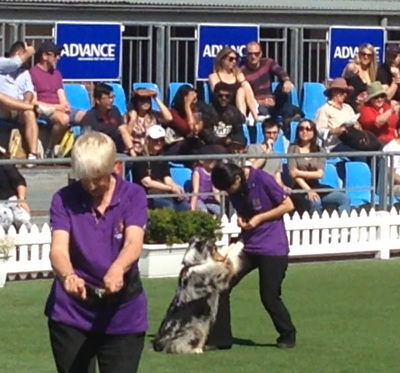 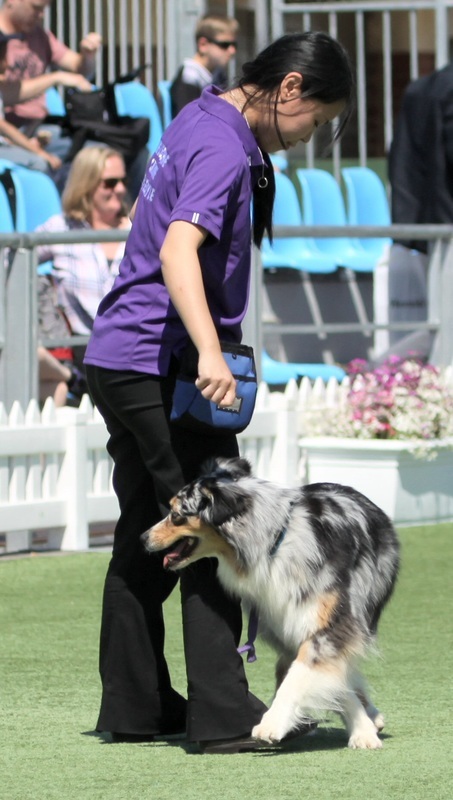 We are members with the Melbourne Canine Freestyle demo group and perform at a variety of events including the Royal Melbourne Show, Dog Lovers Show, pet expos, pet fun days and more! 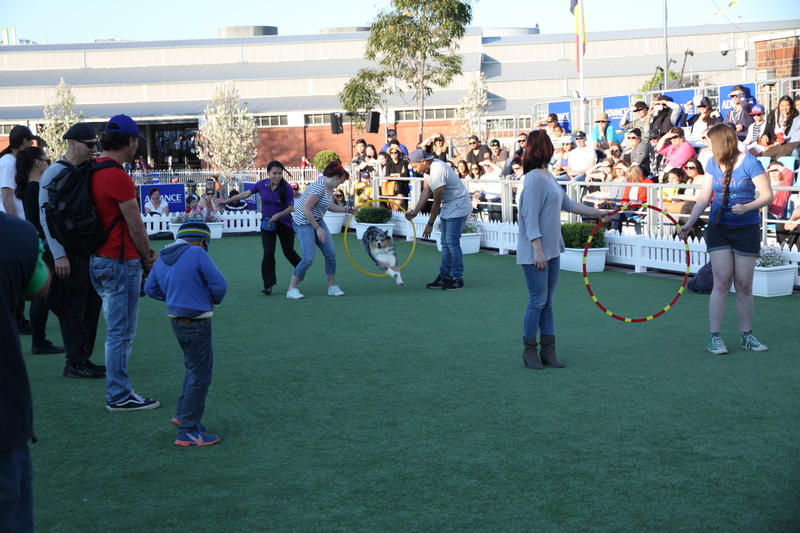 Our performances include amazing tricks, races, and lots of fun audience interactions - fun for the whole family! 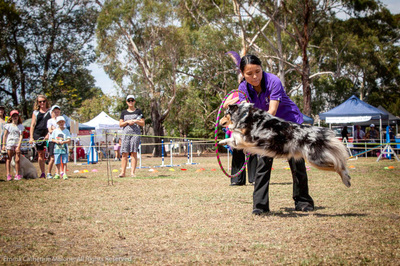 Update 25/11/2018: Breeze gained her second pass and won first place in Freestyle to Music Starters at the DWD Club of Vic trial! 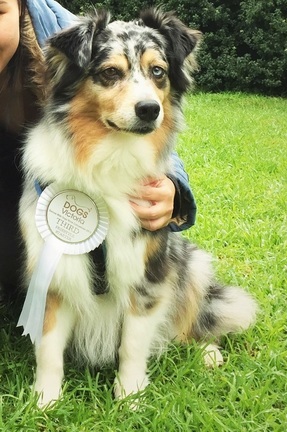 I am so proud of her!